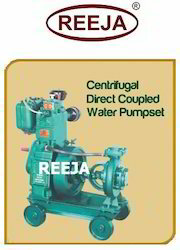 Leading Manufacturer of centrifugal direct coupled water pump set from Chennai. PRIVATE ENGINE H.P. Engine Rpm NO OF CYL. PUMP SIZE MM HEAD RANGE IN METER DISCHARGE LIT./SEC. Looking for Water Pump Direct Coupled With Motor ?